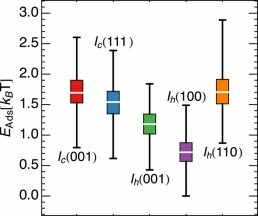 Time ago we looked at density fluctuations in liquid water, particularly the formation of cavities within the molecular network. Why? Because those are related to the cavitation free energy, which in turn is quite important when talking solvation and hydrophobic interactions. Here, we have taken a step further, identifying low- and high- density “patches” of water: yep – it turns out these cavities are not just randomly distributed throughout the liquid… there is more to come, I promise, but for now, have a look at the manuscript online – or just grab a pdf! My first paper about the crystallization of GeTe dates back to 2013. Aside for making me feel a bit old, I guess it is quite intriguing to realize that – some 5 years later – we still haven’t got the whole picture. No shame in that, though – we just have to acknowledge that these phase change materials have really quite a lot to tell/teach us. In this work, we discuss “priming” effects, i.e. what happens to the crystallization kinetics if you treat your parent phase beforehand. Mind you, this is no theoretical excercise… well, it – is – but is also quite key a thing for the actual devices. Have a look at the manuscript online – or just grab a pdf! I am really quite proud of this paper. For one thing, it marks my transition from studying ice forming on inorganic materials to exploring the formation of ice in soft and biological matter. 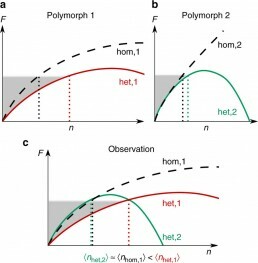 Secondly, this work is the result of a combined effort of molecular simulations and state-of-the-art experimental techniques – a contribution for which we have to thank T. Whale, M. Holden and B. Murray, all based at the University of Leeds. Experiments & Simulations together are still fairly rare a sight when it comes to ice – but things are changing, and it feels good to be a part of the tide. While contemplating the exciting possibilities in terms of future work that may be originating from this collaboration, have a look at the manuscript online – or just grab a .pdf! 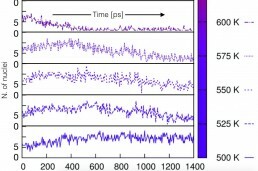 When it comes to enhanced sampling simulations of rare event, one usually choose something along the lines of either free energy or path sampling techniques. Unfortunately, these are computationally costly. 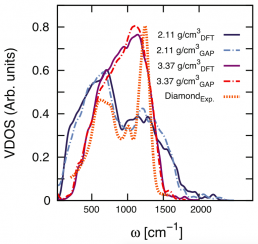 Seeded molecular dynamics is a much less demanding alternative that has been successfully applied already to study the homogeneous freezing of water. However, in the case of heterogeneous ice nucleation, nature’s favourite route to form ice, an array of suitable interfaces between the ice seeds and the substrate of interest has to be built, and this is no trivial task. 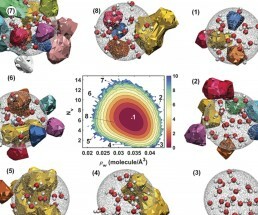 In this paper, we present a Heterogeneous SEEDing (HSEED) approach which harnesses a random structure search framework to tackle the ice-substrate challenge, thus enabling seeded molecular dynamics simulations of heterogeneous ice nucleation on crystalline surfaces. Here's the online version, but you are welcome to just grab a .pdf as well. The Journal of Chemical Physics, 145 (21), pp. 211927, 2016, ISSN: 0021-9606, 1089-7690. Physica Status Solidi A, 213 (2), pp. 329–334, 2016, ISSN: 18626300. Chemical Reviews, 116 (12), pp. 7078–7116, 2016, ISSN: 0009-2665, 1520-6890. The Journal of Physical Chemistry Letters, 7 (13), pp. 2350–2355, 2016, ISSN: 1948-7185.
physica status solidi (a), 213 (2), pp. 329–334, 2016. Chemical reviews, 116 (12), pp. 7078–7116, 2016. The journal of physical chemistry letters, 7 (13), pp. 2350–2355, 2016. The Journal of Chemical Physics, 145 (21), pp. 211927, 2016. The Journal of Physical Chemistry A, 121 (1), pp. 370–380, 2016. Journal of the American Chemical Society, 137 (42), pp. 13658–13669, 2015, ISSN: 0002-7863, 1520-5126. The Journal of Physical Chemistry C, 119 (11), pp. 6428–6434, 2015, ISSN: 1932-7447, 1932-7455. Journal of Physics: Condensed Matter, 27 (17), pp. 175009, 2015, ISSN: 0953-8984, 1361-648X. Journal of Applied Physics, 117 (1), pp. 015304, 2015, ISSN: 0021-8979, 1089-7550. Massobrio, Carlo; Du, Jincheng; Bernasconi, Marco; Salmon, Philip S (Ed. ): Molecular Dynamics Simulations of Disordered Materials, 215 , pp. 415–440, Springer International Publishing, Cham, 2015, ISBN: 978-3-319-15674-3 978-3-319-15675-0. Physical Review B, 92 (5), 2015, ISSN: 1098-0121, 1550-235X. Journal of Applied Physics, 117 (1), pp. 015304, 2015. The Journal of Physical Chemistry C, 119 (11), pp. 6428–6434, 2015. 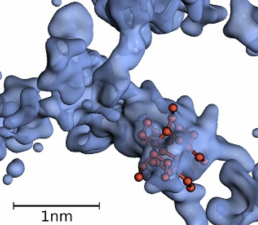 Molecular Dynamics Simulations of Disordered Materials, pp. 415–440, Springer, 2015. 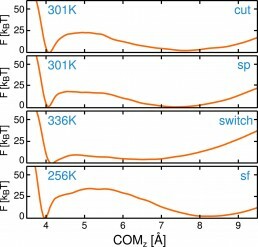 Journal of Physics: Condensed Matter, 27 (17), pp. 175009, 2015. Physical Review B, 92 (5), pp. 054201, 2015. Journal of the American Chemical Society, 137 (42), pp. 13658–13669, 2015. Chemical Physics Letters, 599 , pp. 133–138, 2014, ISSN: 00092614. The Journal of Physical Chemistry B, 118 (47), pp. 13621–13628, 2014, ISSN: 1520-6106, 1520-5207. Chemical Physics Letters, 599 , pp. 133–138, 2014. The Journal of Physical Chemistry B, 118 (47), pp. 13621–13628, 2014. Frontiers in Electronic Materials, pp. 155–162, Wiley-VCH Verlag GmbH & Co. KGaA, Weinheim, Germany, 2013, ISBN: 978-3-527-66770-3 978-3-527-41191-7. Physical Review B, 87 (9), 2013, ISSN: 1098-0121, 1550-235X. The Journal of Physical Chemistry Letters, 4 (24), pp. 4241–4246, 2013, ISSN: 1948-7185. Physical Review B, 87 (9), pp. 094117, 2013. The journal of physical chemistry letters, 4 (24), pp. 4241–4246, 2013. Frontiers in Electronic Materials, pp. 157, Wiley-VCH Verlag GmbH & Co. KGaA, 2013.